*You do not have to have instagram or even an iphone to do this linkup. I was just using Instagram as an idea! Each week we will post the 5 challenges for you...& you choose what to take them with, your iphone, your amazing professional camera, your disposable one...and then, you post them on your blog, link up and use the button so everyone can see them! 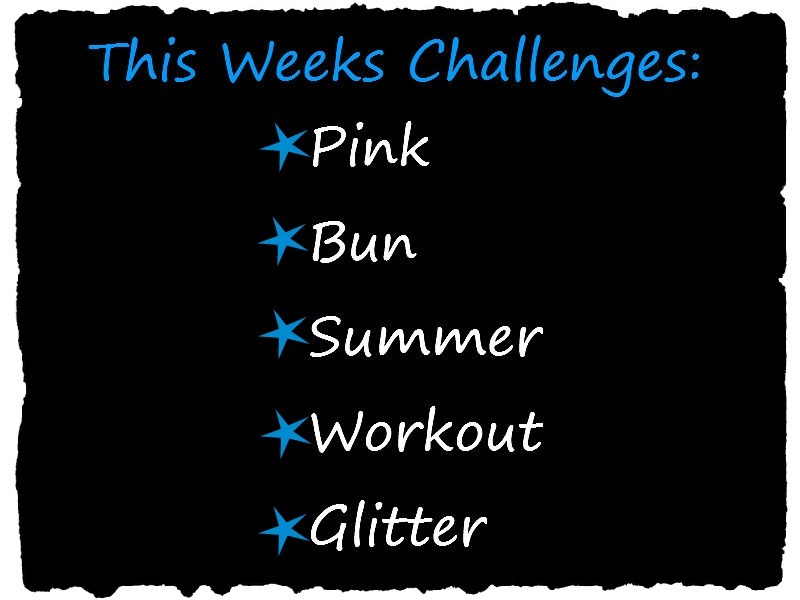 So here are the first 5 challenges & then come back next Tuesday & link up with us! Each Tuesday the new challenges will be posted giving you a week to work on them! I really hope you will all linkup & spread the word! So all you gotta do is click a pic for each challenge & next Tuesday August 7 linkup with us!!! We hope you'll all join in on the fun!! Spread the word & get to clickin'! This sounds like a lot of fun!! Great idea!! Love them!!! Is it tue yet?? oh this is fabulous girls! i love the idea. Love this idea! I will be linking up next week! Woohoo! I love this idea! and i love the pic you created for it!!! cant wait to see everyones pics!! well yeah! GREAT link up idea, but I'll have to see if I can pull it off...I'm the only blogger that hates pink, doesn't do much glitter, and doesn't work out. Haha. What a great idea Kelly!! What a great idea! Will definitely be linking up! That's such a cute idea! I love it! And it's much more manageable than the month long challenge! blogwalking here, mind to follow each others? let me know. such an awesome idea! can't wait to participate next week! When they say, this bill will hurt small businesses, they are referring to businesses like Koch industries, not mom and pop businesses that create 90% of new jobs.